This activity now starts at 19:00 to 2000z on 7.155 to 7.165+/- depending on propagation. Poor propagation and QRM are not helping this activity at the moment so search boldly and if the times change, new information will be posted here. The overseas net has now been running since Nov 2015 with weekly activity on a Monday evening. Details can be found in the link shown below. with G4LRG operating as GJ3SIG. 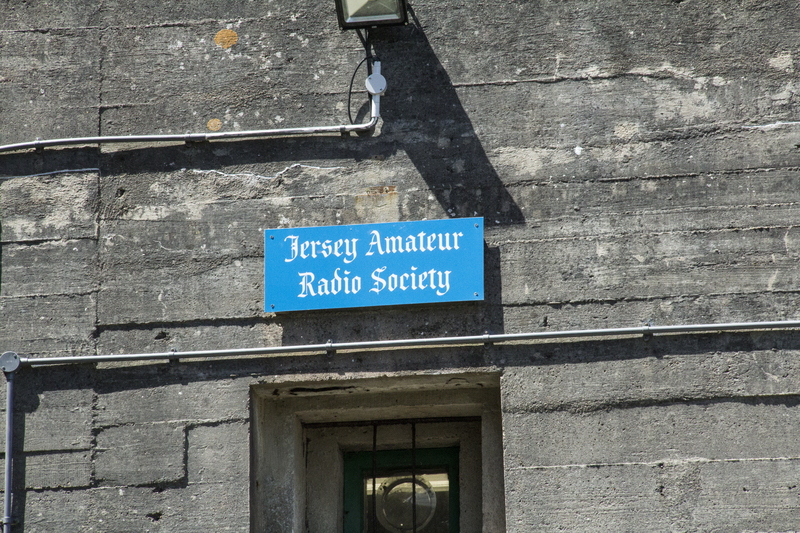 Our thanks must go to the Jersey ARS who allowed us to operate from their club station in order to give a few points away for the G3SIG Award. If you have had some form of service in the UK or some overseas military organizations, or are currently so serving, you may be eligible for membership. See below for details. The Society runs a number of nets and arranges awards, trophies etc. Our MEMBERSHIP SECRETARY, G3VBE, will be pleased to hear from any prospective members. He can be contacted by snail mail at RSARS, 65 MONTGOMERY STREET, HOVE, SUSSEX, BN3 5BE, United Kingdom or e-mailed from here. The Society has a long history commencing 1952. If not qualified by any of the above, you may still be eligible for affiliate membership. Please let our Membership Secretary know your details. We have members in many overseas countries, and welcome enquiries from prospective new members. Please see above for details of how to contact our membership secretary, F. G. Miles, G3VBE. Annual Subscriptions are due on 1st January each year. 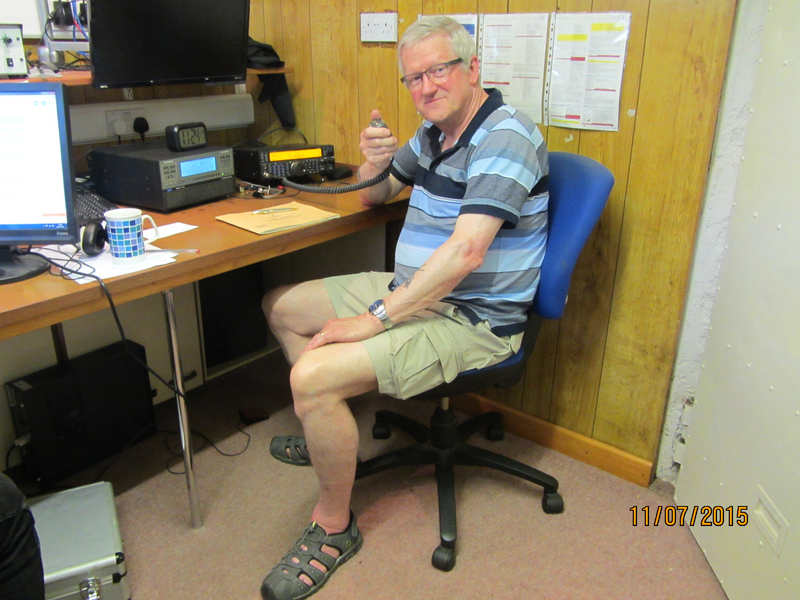 Failure to make payment to the Society Membership Secretary by 31st March voids the membership status including loss of the use of the free QSL Bureau and no further communications are sent from the Society. A reminder and renewal form is included in every issue of “MERCURY” in November each year. A full list of members unpaid as at publication date is usually included in the March issue of “MERCURY“. Archiving of unpaid Members will then take place. The Society publishes a 64-page (A5) journal “MERCURY” which is sent to members free of charge (by Air Mail to Overseas Members paying a small supplementary postage charge). With the November issue the Minutes of the (September) Annual General Meeting are presented together with a copy of the Society’s audited accounts. A list of Society Members currently on E-mail who have consented to their details being published is available from this website under the EasyMail page. “MERCURY” was placed Joint Third (with RAFARS) in 1998 and Joint Third (with IRTS) in 1999 and 2000. The Editor of “MERCURY” is Joe Weale GW0WEE to whom all material for publication should be submitted. He can be contacted by letter post at LLANARITHON, Howey, Llandrindod Wells, LD1 5PP, United Kingdom, or by e-mail. In May 1952 the 1st Army Wireless Reserve Squadron, Cadre, Royal Signals was formed and Major Dennis Haylock (G3ADZ) was appointed Officer Commanding with a mandate to recruit personnel mainly from radio amateurs. In 1954, the first proposal for the formation of an “Army Amateur Radio Society”, a society having both amateur status and, as with the United States’ MARS (“Military Affiliate Radio System”), official recognition as an emergency military network was put forward by Brigadier Eric Cole (G2EC), then CSO Southern Command. This proposal was very favourably received but because of G2EC’s posting overseas he was unable to supervise and monitor the Society’s organisation, and the proposal was not proceeded with. By 1955 an Army Wireless Reserve Amateur Radio Society had been formed, a biannual news sheet BROADCAST issued to members, and unit exercises and camps were arranged to ensure that GB3AWR operated in various “rare” counties. In 1956 G2EC became Honorary Vice-President of AWRARS which had extended its membership to a number of Army personnel who were not members of the Squadron. Also in 1956 the Unit became 2 Press Communication Signals Squadron and went to Suez where MD5ADZ, MD5DNQ and MD5AMO were briefly activated. By 1959 the Squadron had been renamed 404 Signal Squadron AER, and the question of affiliation between Army amateur radio clubs, many of which existed in the TA and AER, was being actively pursued. 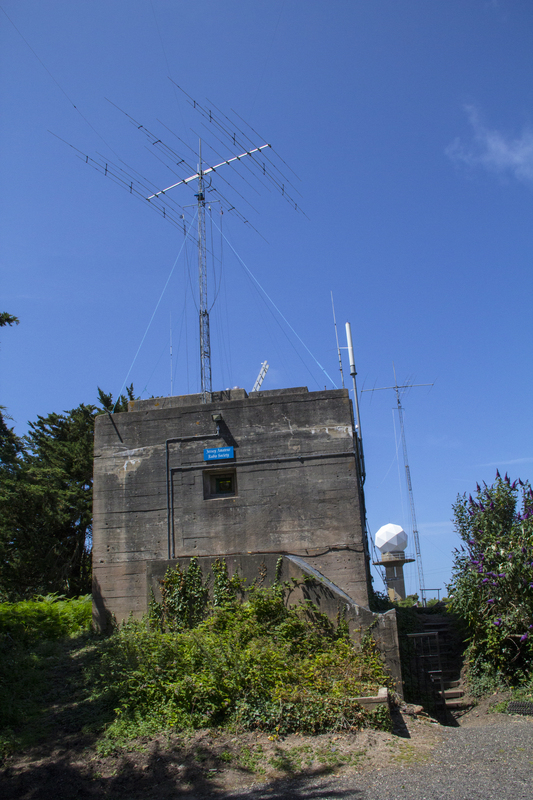 In 1960 G2EC, when Director of Telecommunications, asked Major-General Whistler, the Signals Officer in Chief, to carry out a survey within the Corps, the results of which indicated that there was sufficient support to justify the formation of a Royal Signals Amateur Radio Society. 0n 23 June 1961 at Blandford, where 404 Signal Squadron AER was at camp, a meeting was held of War Office, Command and Unit representatives under the chairmanship of G2EC, and RSARS was formally established. By August 1961, the Rules and the first edition of “MERCURY” were sent to all Army Command HQ and Royal Signals units worldwide. HQ RSARS was established at Catterick Garrison, and the Catterick Club (G3CIO), which had been in existence since 1947, became the HQ station. At the 1966 AGM it was agreed to extend Society membership to all serving soldiers and the Society Rules redrafted at the 1968 AGM incorporated all approved changes, and this new revision included all personnel serving with or employed by a R. Signals unit – regular or T. & A.V.R., members of the CCF/ACF and University O.T.C. were also included. The call sign G4RS was issued to the Society in 1967. 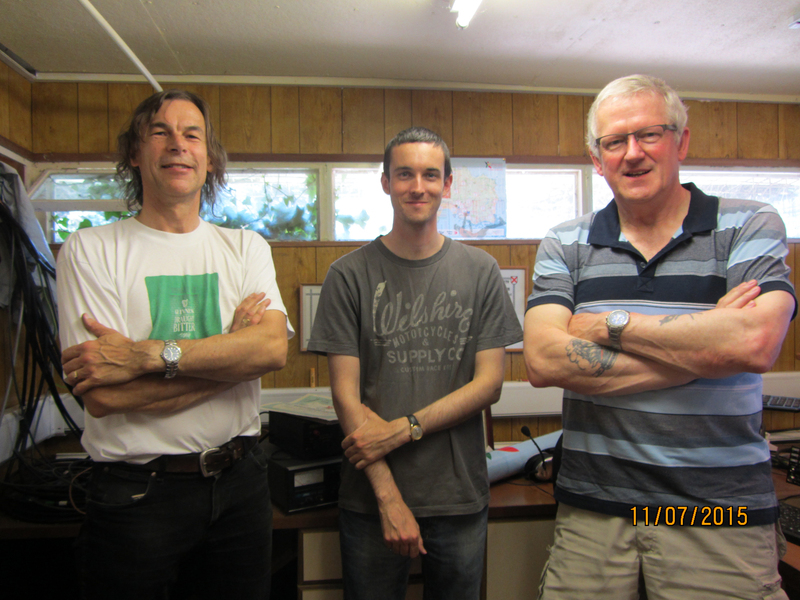 0ther UK call signs operated for the Society are:- GØRCS, GØSIG, G3CIO, G3SIG, G3VXX, G4CCF, G3PYZ and there are Overseas calls. The Headquarters Station, G4RS is currently located at Blandford, Dorset having spent many years at Catterick Garrison, North Yorkshire.